Come find all of these at a special regional gathering of people interested in bicycle travel hosted by Adventure Cycling Association at the Coffee Hub and Café on Wednesday, February 13 from 6:30 PM to 8:30 PM (program starts at 7:00 PM). This event is being held in partnership with the San Diego County Bicycle Coalition. This gathering is open to Adventure Cycling members and nonmembers who have an interest in bicycle travel or just want to learn more. Adventure Cycling’s Development Director Annette Stahelin will be on hand for the gathering on Wednesday, February 13. Enjoy light refreshments and a chance to socialize with many other folks in your area who are interested in bike travel. Attendees can also purchase beverages at the neighboring Wine Pub during the event. The Wine Pub will offer 10% off food and beverage purchased before, after, or during the event. Please join us and bring a friend! When: Wednesday, February 13 from 6:30 PM to 8:30 PM. Mingling starts at 6:30 PM, and the program starts promptly at 7:00 PM. Where: Coffee Hub and Café, 2907 Shelter Island Dr #107, San Diego, CA 92106. There is plenty of bike parking in front of Coffee Hub and Café. Vehicle parking is available in the lot in the front of Coffee Hub and Café or in the lot behind by Union Bank (some free and some paid). Street parking is also available. 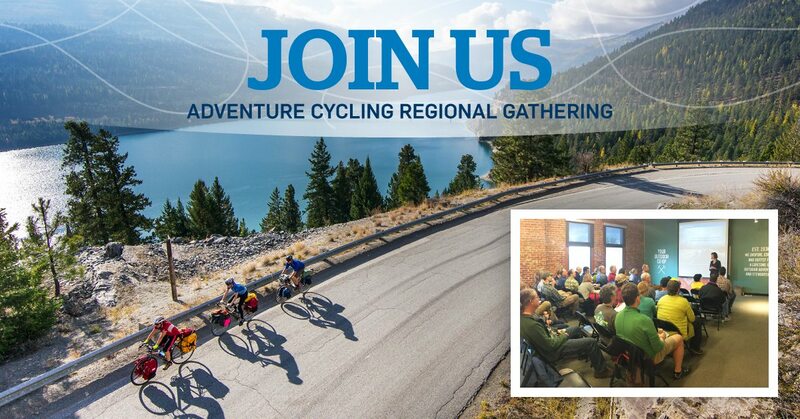 Please RSVP for the gathering at info@adventurecycling.org or 406.532.2751 by February 11. We look forward to seeing you in San Diego, CA!